Alice was purchasing a jacket for her little sister, but had a hard time finding a vendor that would truly bring her vision to life. 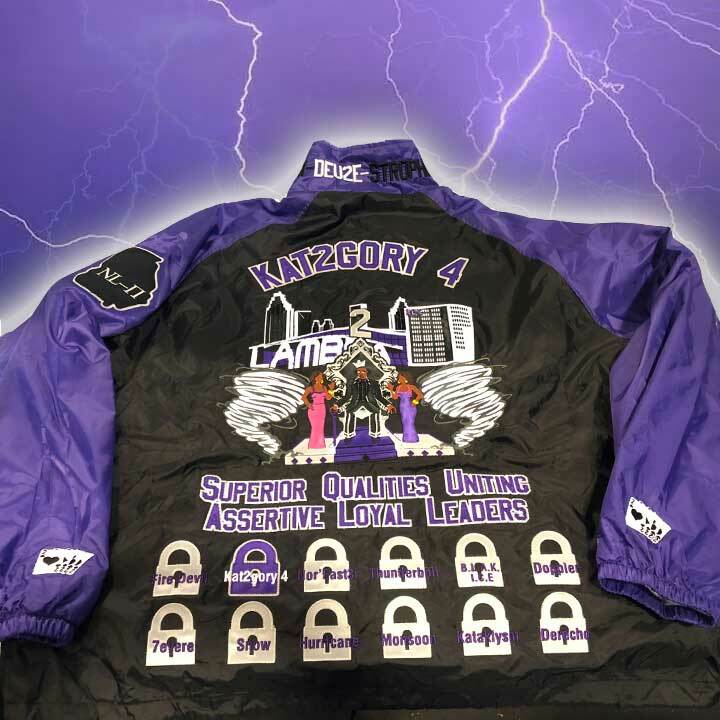 Luckily she found us, and we were able to turn out one of the most detailed jackets in S4G history. 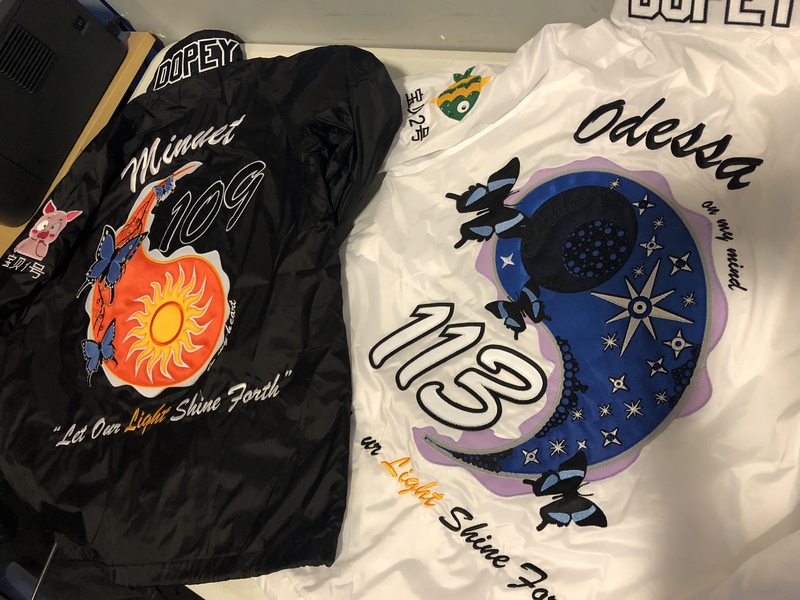 Click the "Like" button below to vote for these jackets. Rebecca made our day when she came in to the store and bought not one, but two jackets! We got even more excited when she showed us her master plan for making two separate designs work as one. 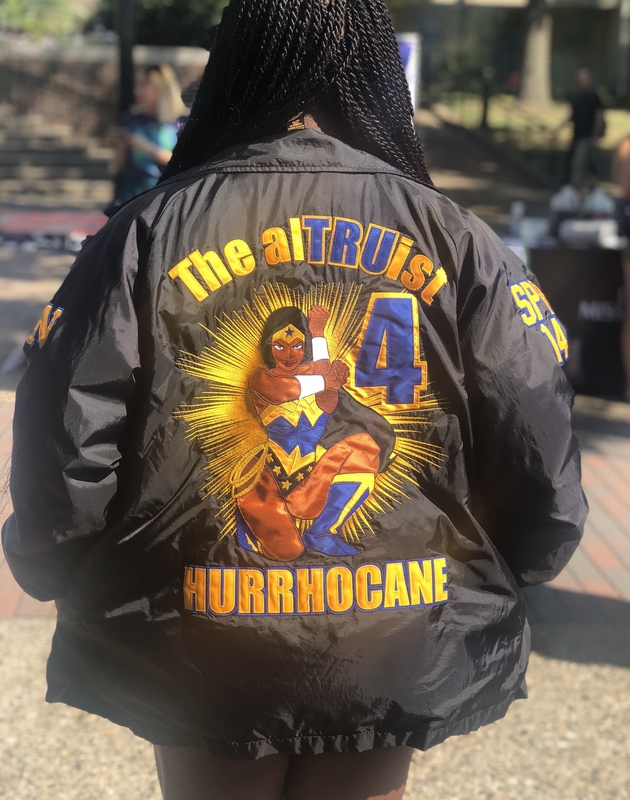 Josefa wanted to gift her daughter, Xi'an, with a jacket that would not only capture her essence, but also what it means to be a true Lady of Alpha Kappa Alpha Sorority, Inc. With her dream and our knack for detailed designs, we were able to put this AKA on top of the world. Nick Moses is no stranger to our store. He is constantly coming up with unique items and fresh ideas that keep us on our toes. 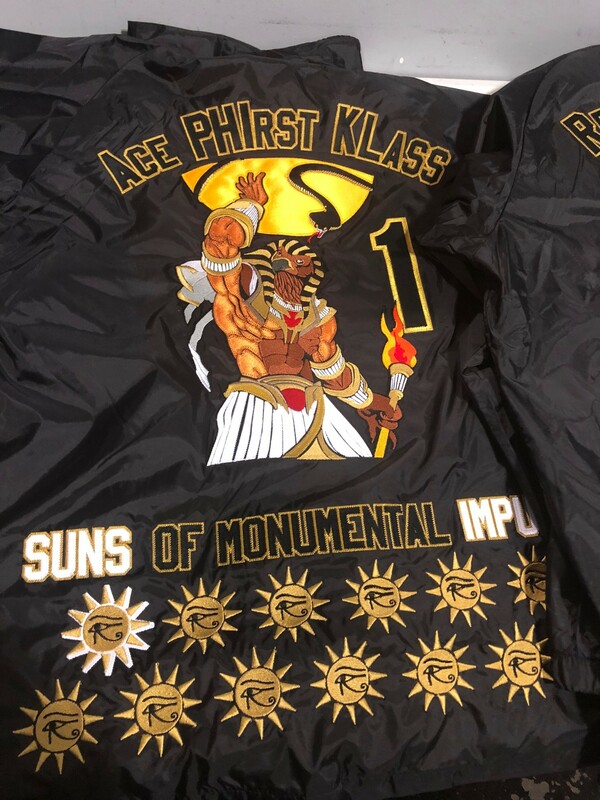 This time, he set his heart on a jacket that would become one of our hottest designs ever. Jasmine was named "The alTRUist" because of her giving and nurturing spirit. She came to us with a design in mind that would put her spirit on display. 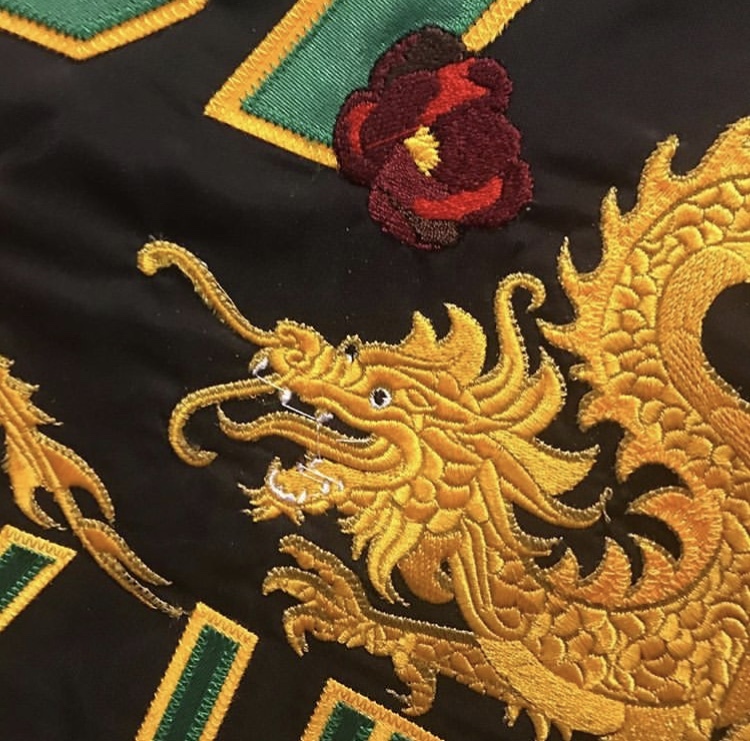 For Nicholas Grant, creating a jacket design that represented him and his line brothers was truly an adventure. After months of collaborating, and help from our design team, these "Avengers" were finally ready to assemble. When the light of the Sun meets the most renowned Egyptian God, you get wearable works of art. Jerome and his line brothers brought us their concept and we made it "monumental". 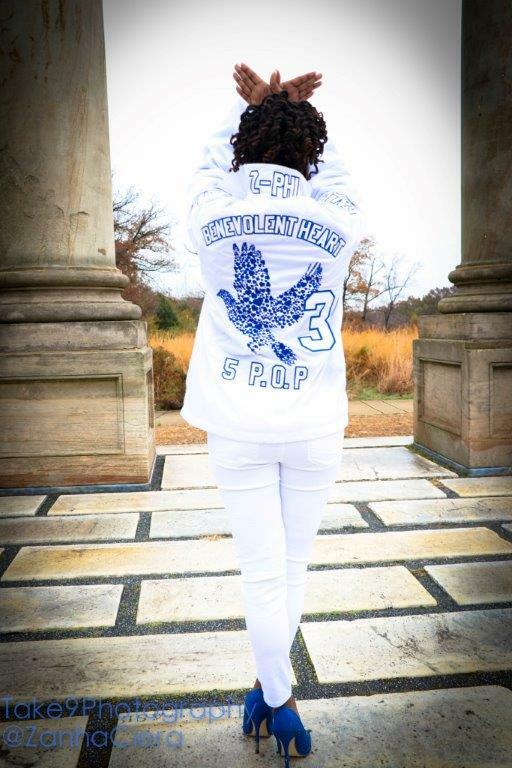 Donna loves her sorority, Zeta Phi Beta Sorority, Inc. As a gift to herself, she wanted to create an abstract design featuring their national symbol, and inspired by her giving heart. 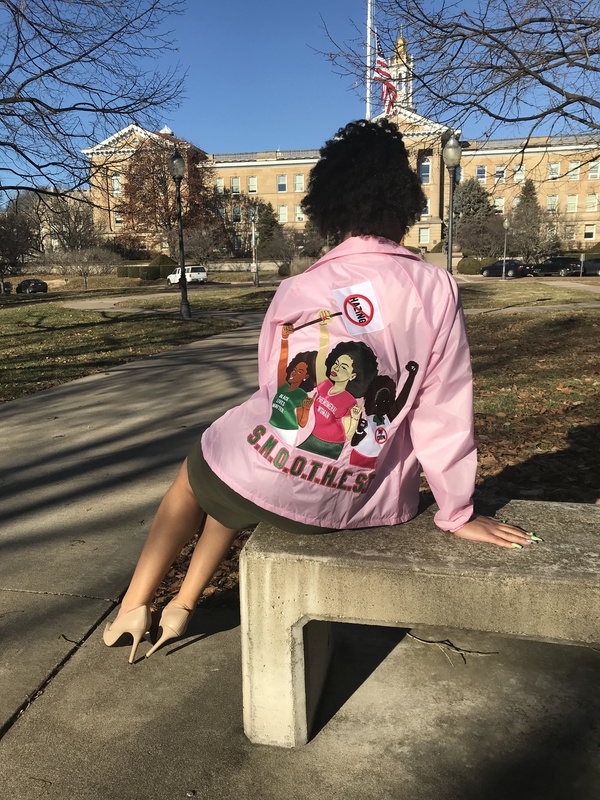 As a member of Alpha Kappa Alpha Sorority, Inc. and a social justice warrior, Jazmyne always wants to display her passion for her community. 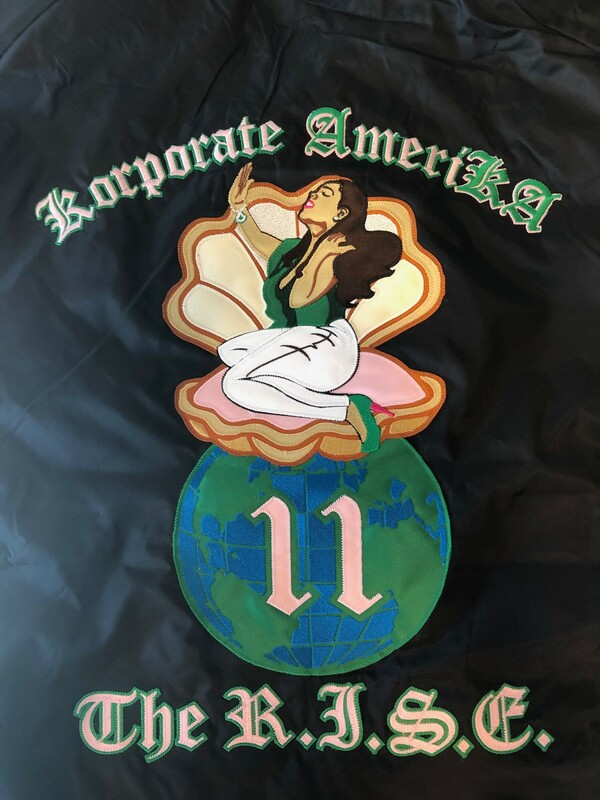 She wanted to take a stand, and recruited us to make a jacket that would help her do so. Ryan had big ambitions when designing his jackets. 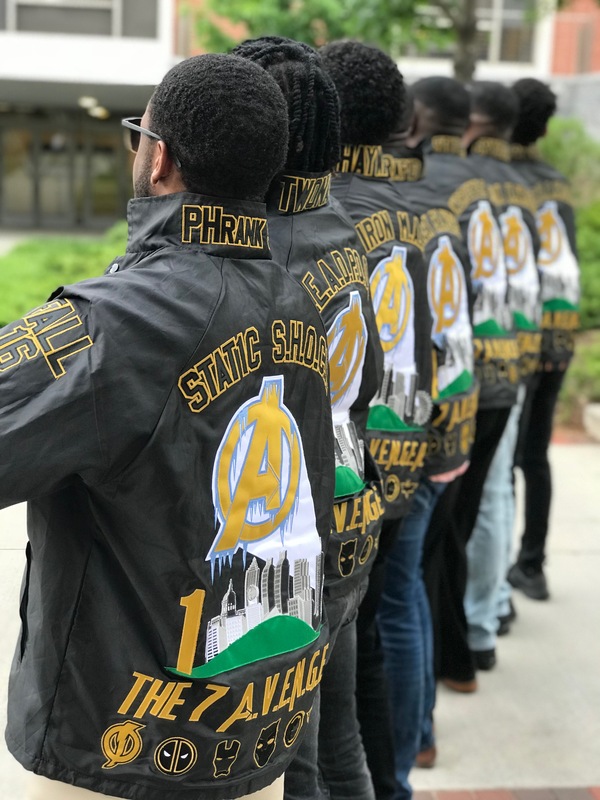 Above all, they needed to symbolize his organization's values and show plenty of pride. Camryn and his line brother did a great job thinking of different symbols that could be incorporated with one another to create an artwork piece full of meaning.